I like the different features offered within: keeping track of your attendees (with option to charge them to cover the cost), interactive live chat, links to facebook & google hangouts and the ability to have your attendees visit sites you want directly through the webinar. You can also record your sessions for future uses. Nothing - not sure on the pricing since I didn't pay for it, my company directly did. Being able to participate in interactive webinars that gives you a hands on and live interacting with the other members. * We monitor all Webinars OnAir reviews to prevent fraudulent reviews and keep review quality high. We do not post reviews by company employees or direct competitors. Validated reviews require the user to submit a screenshot of the product containing their user ID, in order to verify a user is an actual user of the product. Hi there! 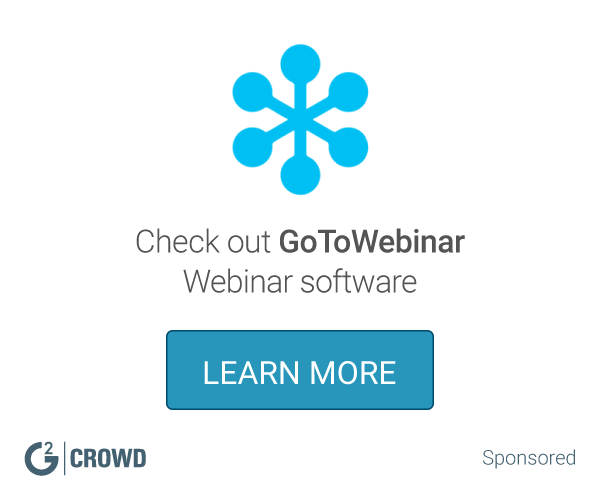 Are you looking to implement a solution like Webinars OnAir?